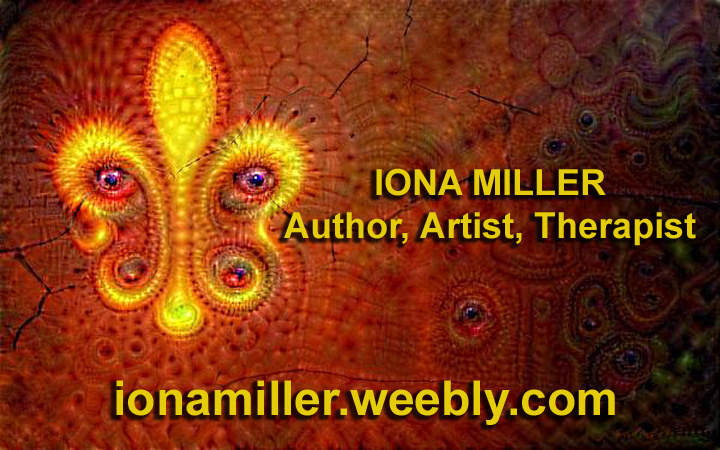 Iona Miller is a nonfiction writer for the academic and popular press, clinical hypnotherapist (ACHE) and multimedia artist. 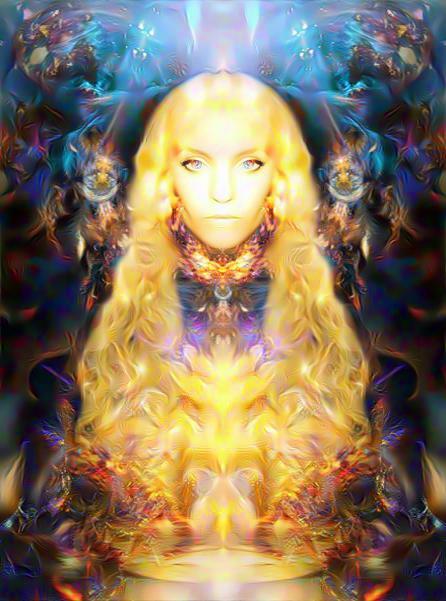 Her work is an omni-sensory fusion of intelligence, science-art, new physics, symbolism, source mysticism, futuring, and emergent paradigm shift, creating a unique viewpoint. She is interested in extraordinary human potential and experience, and the EFFECTS of doctrines of religion, science, psychology, and the arts. 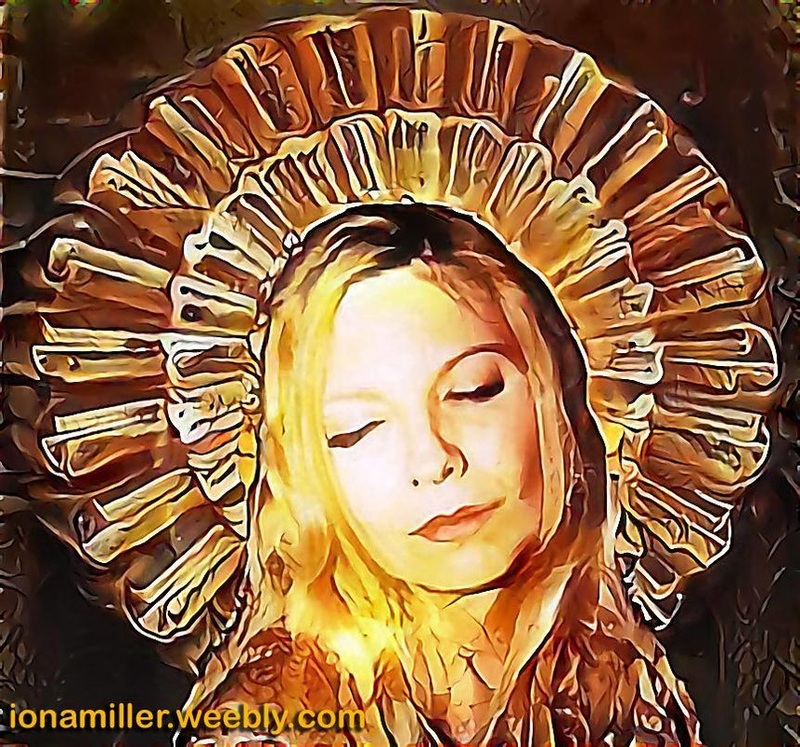 She serves on the Advisory Boards of Journal of Consciousness Exploration & Research, DNA Decipher Journal, and Scientific God Journal, as well as the Board of Directors of Medigrace, Inc., and Editorial Board of CRAFT (Community Resilience through Action for Future Transitions). Ms. Miller is published by Phanes Press, Destiny Books (Inner Traditions), Autonomedia, Nexus Magazine, Paranoia Magazine, Alchemy Journal, Green Egg, Bibliotheca Alexandrina, DNA Decipher Journal, Scientific God Journal, Journal of Consciousness Exploration & Research, Dream Network, Journal of Nonlocality & Remote Mental Interactions (JNLRMI), Chaosophy Journal, OAK, PM&E, DNA Monthly, Antibothis, Pop Occulture, and more. 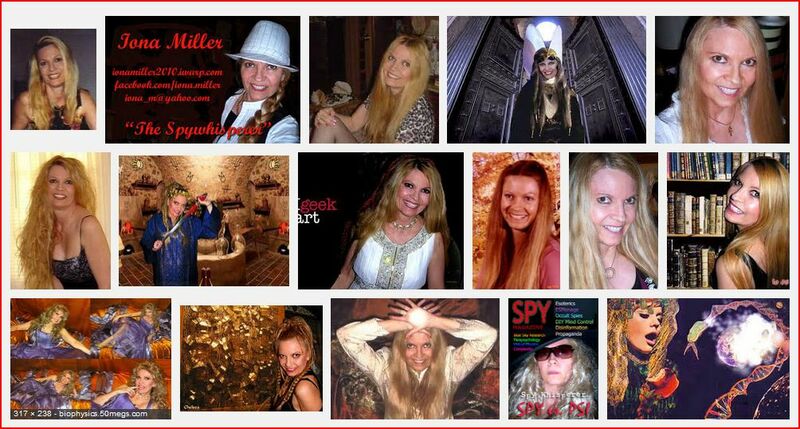 Over the last 10 years Ms. Miller has coordinated the projects of MRU alumni from 3 decades, in intelligence, spyence, new physics, paranormal, creativity, consciousness studies, DNA research, superlearning, DIY mind control, biophysics, and other frontier science and blue sky experimentation. This work continues in a variety of forms and outlets. 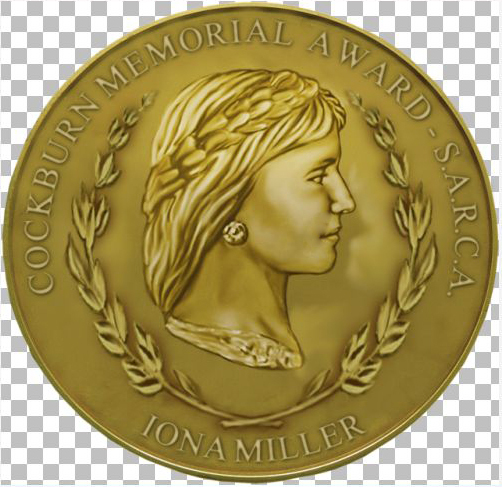 Iona Miller is on Facebook. 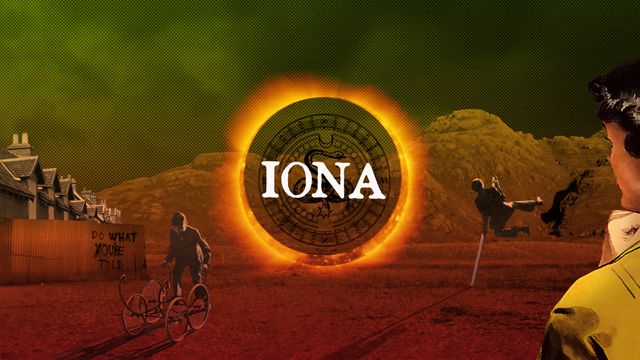 Join Facebook to connect with Iona Miller and others you may know. Abstract We all have our own metaphysics–a worldview–whether we are aware of it or not. spectrum, so we tend to think of holography in terms of three-dimensional photography. Price, $19.75. Pub Date, 1999. Inventory, 4. Author, Lyttle, Thomas (Ed.). Publisher, Autonomedia. Abstract This article presents a review of theoretical modeling of psychophysical anomalies. When I first met Richard Alan Miller in 1976, his career in Parapsychology was in full-swing. 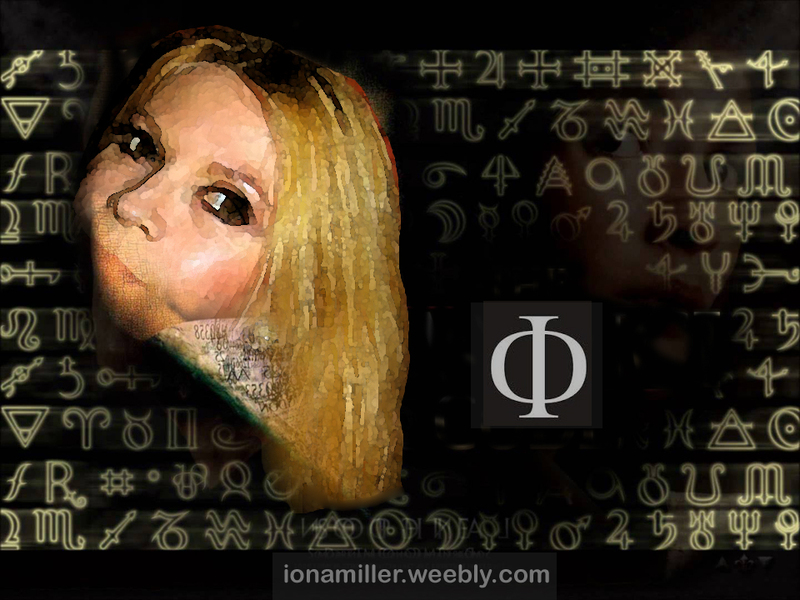 Qabalah is the ART of being fully human. It is a technology for the embodiment of spirituality. The paths of the Tree of Life exemplify templates for all ways of being and becoming. challenge. Now the siren call of Mystery invites us to explode our cosmic boundaries. ALL RIGHTS RESERVED Marshall F. Gilula, MD and Iona Miller. ... 1983) Biomagnetism: An Interdisciplinary Approach. New York: Plenum Press. ATOM SMASHER. (c) Iona Miller All Rights Reserved Io Web. Acquisitions Technician; Library Abramson, Kaye, Ms. CPP 301-A; kaye.abramson@swosu. Foundation, also in Southern Oregon. ... (C)2005 Iona Miller All Rights Reserved Io Web. ... Aquarian. San Fran- cisco. 7 Krumm-Heller Arnold. 1934. Vom Weihrauch zur Osmotherapie. As- trologischer Verlag W. Becker. Berlin- Steglitz. 7 Miller Richard Alan und Iona Miller. 1990. ... 2. On the nature of the psyche, Carl Gustav Jung 3. Michael A. Persinger, 2003, 2013, 2014 4. ... WHOLE SUM INFINITY The Ionasphere: www.geocities.com/iona_m and http://ionamiller. The Science-Art of Creative Physics Cockburn, Dr. George R.; Pope, Robert; Todonai, Robert Published by The Bonum Research Centre c1991, Victoria, 1991 ISBN 10: 0959560467 / ISBN 13: 9780959560466 A publication of the Science-Art Research Centre in Murwillumbah, N.S.W., exploring the world of Creative Physics, where science and art interact, and also addressing related issues in the political and moral worlds, with focus on the Science-Art events. 1981: The artist Robert Todonai joined the Centre, studying the mathematical structure of Mandelbrot's 1980 discovery of fractal logic. Together, the artists liaised with Dr George R. Cockburn, Royal Fellow of Medicine (London), in order to gain insight into the fractal logic involved in the functioning of artistic creation within the human cerebral functioning. They concurred that the living process interacted with the entropic energy system as was also proposed by the 1937 Nobel Laureate in Medicine, Szent Gyorgyi, whose theories were upheld by C P Snow. 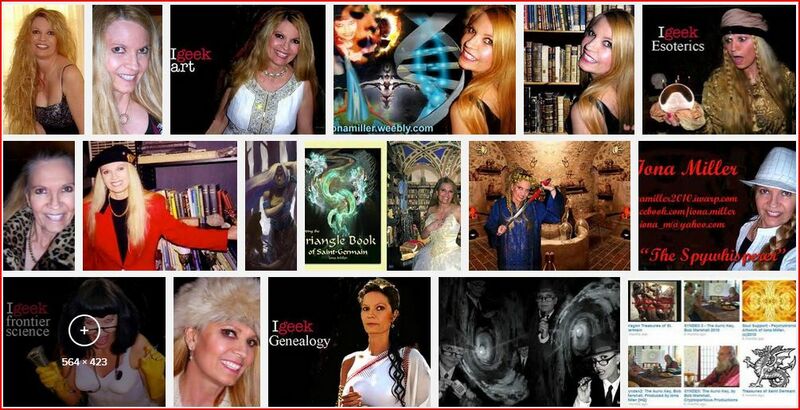 They began to examine aspects of the workings of the "molecules of emotion" discovered in 1972 by Dr Candace Pert. Dr Cockburn and Robert Pope delivered a joint paper at the 1981 Australia and New Zealand Association for the Advancement of Science (ANZAAS) Conference. 1999: Following the death of the Centre's Bio-Aesthetician Dr Cockburn, his cancer research theories were reviewed in depth by the Science-Art Research Centre of Australia. It was found that entropic mathematics belonging to the Einsteinian world-view cannot generate healthy undistorted life-form simulations through space-time as the Centre's Science-Art mathematics did. C P Snow's widening anti-life gulf between modern science and artistic creativity was associated with the rationale of entropic scientific thought being in constant conflict with the negentropic disposition of the molecule of emotion. Dr Cockburn's work was seen to explain aspects of artistic creativity in terms of asymmetrical electromagnetic optical cerebral activity. The late Royal Fellow of Medicine, (London) Dr George Cockburn, correctly predicted such artistic phenomena within a published book written in 1984 entitled A Bio-aesthetic Key to Creative Physics and Art. Dr. Marshall Gilula, accomplished doctor of Psychiatry, Neurology, and Neurophysiology, researchedcellular communication (as did his brother, Dr. Norton Gilula, PhD 26 leader in the field of cellular biology). Dr. Marshall Gilula acknowledged that cells communicate using light particles and that there is an interconnection between the nervous system, the immune system and the endocrine system and intercellular communication 27. A team of physicists and psychiatrists in Austria have conducted several experiments in 2003 showing that there is a cell to cell communication by light in different cell types andstudied in particular, the Central Nervous System(CNS).Their findings show strong evidence that neurotransmitters interact with the biophoton field. “If biophoton communication and light guidance in cytoskeletal microtubules takes place in human CNS, our brain would have to be looked upon as a “holographic computer”.31This research may lead to a completely new understanding of cognition and consciousness. Series of seven music CDs that can facilitate introduction to the Quantum Healing realm. The HEARTSTRINGS PROJECT, a series of seven CDs, is an effort by Dr. Marshall F. Gilula to investigate and facilitate nonlocal or distance healing. New physics strongly suggests that we are all holistically connected in a shared domain finer than the physical level, which we can call subspace. The biological basis for this field can be found in communication on a cellular basis. The doorway to the quantum level exists in the extracellular fluid between each and every cell in the human body. Studies of the cell membrane and intercellular communication have led us to an understanding that ultimate communication may be carried by packets of light energy, or photons. By applying healing intentionality, we can influence the mindbody and energy fields of other individuals, animals, plants, and even an entire planet. Healing is not necessarily synonymous with cure. Sometimes we heal physically, but not emotionally or spiritually. Sometimes we heal spirit and restore soul, but a physical cure remains elusive. In the past healing has focused on the physical body and mind but not on the human energy field. When body, soul and spirit respond in resonance, holistic integrity is restored. Diagnostic medical devices such as the PET, MRI, fMRI often produce results allowing others to claim demonstration of a human energy field that coexists with the physical body. The human energy field can be studied, even with some of the original Kirlian photographic techniques. Magnetic polarities and spin properties of molecules in the extracellular fluids of the body are described in the peer-reviewed and popular scientific literature. There already is a solidly rational basis for understanding health and degeneration of the human organism as well as how one organism may communicate energetically with another through time and space. Imbalances and problems show up in the human energy field before they manifest on a physical plane level. Also, many curative and healing processes begin in the human energy field before manifesting any signs in the physical body. This is the rationale for putting scientifically-based energy medicine into practice. No one really knows how nonlocal healing works, but the empathic bond is one important aspect. Therapeutic entrainment which is present in the healing situation can be intentionally amplified by the mind to mobilize the healing process. The unconscious plays a role in such healing, because all the templates used during healing are located in the holographic records of the human unconscious. It is not possible to differentiate local healing from nonlocal healing. All healing is essentially remote healing, regardless of how much distance is involved between healer and patient. One assumption is that a cybernetic device becomes yet a third focus of consciousness in the healing process traditionally viewed as involving just the consciousness of two people. 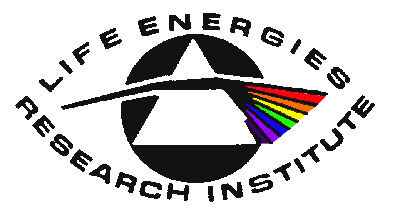 Life Energies Research Institute, Inc. (LERI) is a non-profit research foundation which has been operating under the direction of Marshall F. Gilula, M.D. since 1970. LERI was incorporated in the state of Florida in 1980. Federal tax-exempt status was granted on January 9, 1981 under Sections 501(c)(3) and 509(a)(2) of the Internal Revenue Code. Dr. Gilula is a board-certified psychiatrist, a board certified neurological subspecialist (Neurophysiology/EEG), and a diplomate in Biofeedback Therapy, and a certified Instructor in Neurotherapy and Biofeedback. TRILINGUAL TEACHING AND MULTILINGUAL WORLDVIEW: Each of the curriculum’s four years teach 1000 basic “survival” vocabulary words in Spanish, Russian, and Japanese. Healthcare of the future, just as populations of the present, will be taught in a multicultural arena to students who need to be multicultural. The language modules will focus on “testing to mastery” of a small but serviceable aural-oral vocabulary. As with all parts of the curriculum, the testing is “pass/fail.” The basic goal of this portion is to cultivate familiarity with and affection for the different sounds as a way of developing increasing respect and empathy for different cultural groups. Teaching Patient Safety and Wellness both require at least a willingness to appreciate and learn the intercultural differences regarding wellness and healthcare. As with some other parts of this four-year curriculum, production aims of each year will include a dedicated but optional take-home microsimulation (CD or DVD) with differentiated levels of expertise ranging from beginner to advanced intermediate. Although the basic courses will use the roman alphabet, all the optional microsimulations will have extensive references and practice exercises for learning not only the sounds of each language, but also the Cyrillic alphabet for Russian, and Japanese’s three other alphabets: Kanji, Katakana, and Hiragana. These optional extras will allow the student to consider learning to read and write in the “survival” languages. DISSONANCE RESOLUTION is the central key and fulcrum for leveraging effective learning of both Patient Safety and Wellness within an integrated web-based curriculum. Patient safety and wellness are intimately related because the essence of patient safety rests on the fundamental precepts of wellness. Optimal medical care results from any approach that encourages the patient to be in the driver’s seat and to take an active, family-centered role in healthcare. Dissonance resolution can put the spotlight on patient relaxation. Dissonance resolution is also a conceptual way of understanding how a person achieves mastery over disease and debilitation. Although “conflict resolution” has been used in psychology and behavioral sciences, dissonance resolution is a way of also recognizing less severe degrees of conflict and emphasizing the finer tuning and adaptation which humans can achieve. Resolving the finer degrees of dissonance is another route to mastery of stress and achievement of high-level wellness. Musical, psychological, and neurophysiologic analogies are all useful for explaining how and why we use dissonance resolution to optimize both the content and process of our educational program series. GENERAL ASPECTS OF DISSONANCE RESOLUTION: The DR in DR TOMORROW represents Dissonance Resolution, which is the central theme and key mechanism of the CYBERDOCtv learning system. We use both kinetic graphics and stereo .mp3 and .wav files to potentiate psychophysical and neurophysiologic cognitive dissonance resolution. (See the CD for an animated Shockwave logo, MarshallGilula-animated.swf serves this purpose.) Inserted here in the text is an ordinary graphic file that resembles the animated Shockwave logo (MarshallGilula-Fig1.jpg)(Miller 2004). Even this unanimated graphic can be used for visual focus while listening to either of the two stereo sound files, CYBERDOCtv1.wav, and CYBERDOCtv2.wav, that will be included on the CD. The basic idea is to involve the viewer in focusing simultaneously on both visual and stereo sound stimulation as a way of establishing both mind and body discipline. These early consciousness tools are very much of a scaled-down version of what happens to the viewer as a participant when he or she is focusing on a matrix of shapes and sounds that are constantly changing. The time and energy required to learn how to focus on a gaming simulation can be decreased by initial practice with less complex stimuli such as a single, static graphic and then a kinetic (animated) graphic. 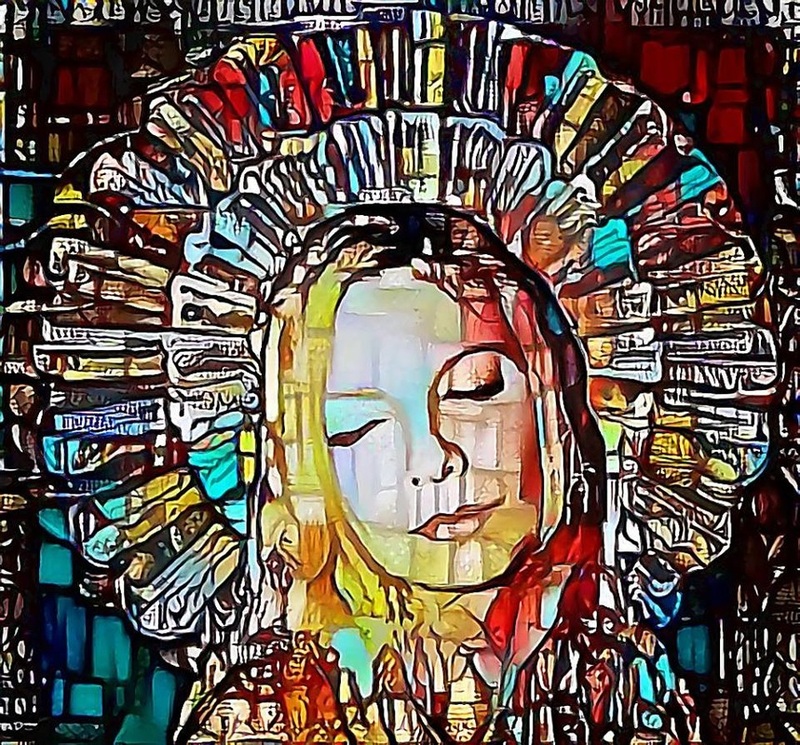 Combining visual stimulation with stereo auditory patterns initially evokes internal dissonance which both conscious and unconscious processes serve to resolve as the viewer-participant becomes involved and then progressively engrossed in the simulation. MUSICAL ASPECTS OF DISSONANCE RESOLUTION: Dissonance Resolution, or explanations and definitions of just plain Resolution, usually include esoteric language related to mathematical ratios describing various musical intervals and how those intervals relate to the fundamental or “dominant” frequency. The dominant frequency is the same as the “key” of a musical composition. Continuously playing a monotone is, by definition, monotonous and unpleasant for most listeners. And yet unchanging variability that never returns to the “dominant” baseline is also unsatisfying for the majority of listeners. Depending on the genre, music can have different patterns of how the variations of frequency and time durations progress. Usually the frequency progressions tend to cluster within a group of customary patterns for many musical genres. Many forms of classical (for example, Bach) and rock (e.g. 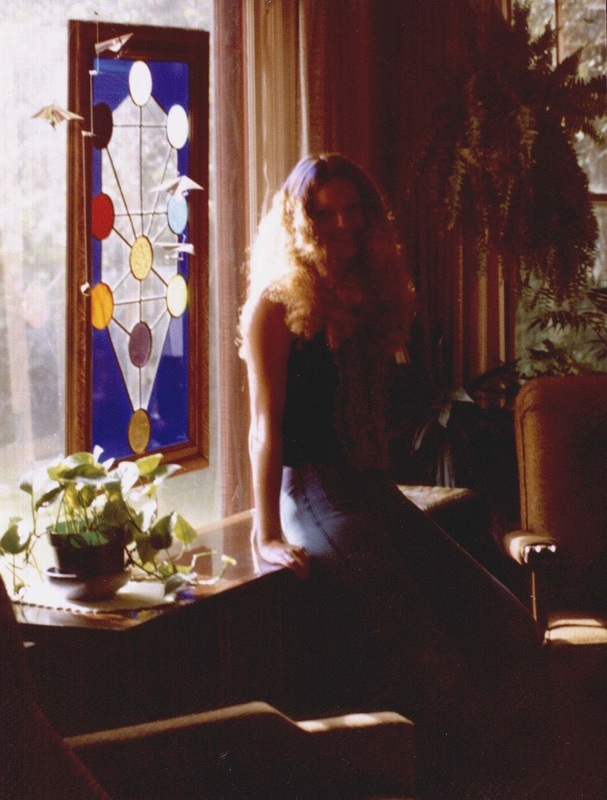 Grateful Dead) music have stereotypic patterns that some enthusiastic listeners (fans or groupies) appear to tolerate endlessly without the same discomfort or ennui that others in the same environment may experience after the first few dozen times of hearing the same composition. Musical improvisation is a specific arena that intimately involves dissonance and resolution of that dissonance. Musical amateurs who are learning to “jam” need time to clearly hear themselves in a group context. The beginner learns to tune an instrument by comparing the differences between a standardized note on a tuning device and the note produced by one’s own instrument. Newer tuning devices allow the musician to see an electronic readout of the degree of disparity, or dissonance, between one’s own instrument and the standardized pitches. Learning how to play in tune with a standardized set of pitches is followed rapidly by learning how to fit into a pattern or group of patterns produced by one or more other musicians. Sophisticated improvisation can involve extremely rapid sensing of dissonance and acquiring the ability to resolve dissonance on the fly. The same internal process can be viewed in both psychological and neurophysiologic terms. Dissonance resolution is a dynamic core element of any process that involves becoming an expert in any field. PSYCHOLOGICAL ASPECTS OF DISSONANCE RESOLUTION: The definition of Cognitive Dissonance and resolution of cognitive dissonance are important parts of psychology. “Cognitive dissonance is...discomfort felt at a discrepancy between what you already know or believe, and new information or interpretation” (Atherton 2003). Insight about personal behavior arrives at the cost of significant discomfort. Sometime it’s better not to know. Dissonance resolution in psychotherapy can represent cognitive and emotional (affective) elements of some psychological growth techniques. Neighbor (1992) uses cognitive dissonance in the form of an “intellectual wedge” that is driven between learners’ current beliefs and “reality” as part of medical training. When this approach works, it involves dissonance resolution because the by-product of resolving dissonance is resonance and coherence. NEUROLOGICAL ASPECTS OF DISSONANCE RESOLUTION: Dissonance Resolution within the nervous system is easy to demonstrate neurophysiologically because we can detect electrical fields and currents by analyzing neural activity with EKG (heart) and EEG (brain) techniques. Our program focuses particularly on the neurological aspects of the heart and of the brain. Basic science research has documented well the existence of afferent connecting pathways of information going from the heart to the central nervous system (Armour and Ardell 1994). The heart is therefore a source of incoming information that is received and decoded in the brain and then fed back to the heart itself. FFT (Fast Fourier Transforms) or other methods of frequency analysis with both the EKG and the EEG have shown a difference in the coherence of electrical frequencies during different emotional states. During states of focus, appreciation, love, and other positive feelings, the basic EKG frequencies tend to line up behind other waves of similar frequencies, and when this happens to a high degree, the person is said to be in a “coherent” state. (Tiller,WA, McCraty, R., Atkinson, M. 1996) Angry, hostile, disorganized states tend to show a lack of coherence in the basic EKG frequencies. Characteristics of neurophysiologic tracings during states of significant empathy often show bioentrainnment and coherence. Bioentrainment is when a form of electrical activity in one individual matches or “drives” that of another individual. The entrainment does not have to involve peaceful or coherent activity. It has been shown electrophysiologically that feelings of anxiety, anger, and disorganization can be shared and entrained between two individuals. During dissonance resolution we may expect to find neurophysiologic evidence of coherence, resonance, and bioentrainment. Dissonance resolution is designed into our program to enhance learning, to enhance coherent and resonant states, and to make learning more pleasurable and occur at a progressively higher level. Studies of coherence and biofeedback phenomena show that the human nervous system can be brought under voluntary control, but there is yet a deeper level of control which seems to operate just out of conscious awareness. If an individual is sufficiently relaxed, it is possible to communicate directly with one’s own wiring system. Biofeedback researchers have described a type of “passive volition” achieved by subjects who can control their EKG or EEG. Passive volition involves becoming deeply relaxed and then gently willing a change in the body/mind function that is being monitored such as EKG or EEG. Neurological aspects of dissonance resolution include become more and more sensitive to very subtle levels of internal disharmony. Learning to identify the internal disharmony is similar to learning the “passive volition” of EEG or EKG control. Learning to type requires some focus and concentration, and the same is true for learning voluntary control over physiologic functions. It does not require special intellectual abilities to learn either typing or voluntary internal control. Identifying internal disharmony becomes progressively easier through practicing with the focus, concentration, and meditation exercises that are part of CYBERDOCtv. By the end of the first year, any student who has persisted with the program will feel at least minimally comfortable doing dissonance resolution. Since some of our patterns will contain both harmonious and disharmonious patterns, an unskilled individual may first “resonate” with the disharmony (dissonance) and then, with practice, gradually ‘resonate” with the functionally higher resonance present in the same pattern. . The spiral has been described in many different ways: as cylinders, cones, and as variable shapes: “Knowledge goes round and round, but also up and down and in and out.” (Cranton and Cohen 2000). There is frequent difference of opinion as to just how conically-shaped this upward progress is. Some argue that the cone drawn above should rather be inverted. One interpretation of Figure 2 would be that it represents a process with a steep learning curve that becomes much easier after an initial investment of time and energy. This might represent many types of computer software and complex games. Expert gamers, however, might argue that an inverted pyramid typifies most quality games and simulations. But most educators, healthcare professionals, and gamers would agree that each horizontal revolution of this upwardly-progressing spiral has one or more rough spots and transitions. These barriers are well-illustrated by the concept of dissonance. Just how the dissonance gets resolved is not so easy to explain. Some neurophysiologic dissonance resolution seems to be self-correction on the part of the human nervous system, especially when there is some conscious awareness or attention focused on the problem at hand. One example would be when two or more individuals are doing EEG biofeedback and experience an entrainment of their brain wave frequencies. Various psychotherapies, yoga, and other types of meditation can promote the achievement of internal coherence. Exposing the human nervous system to dissonance in graded doses that are not overwhelming can do the same thing. Coherent states can correlate with relaxation, more efficient learning, and unique or creative problem-solving. When gamers are exposed to alternating degrees of complexity, the nervous system goes through the process of resolving the cognitive conflicts that are presented by the program. However, becoming adapted to unfamiliar controls and keystrokes to achieve novel simulation behaviors invokes a self-tuning neurological mechanism as the end-user first experiences discomfort and then gradually becomes comfortable with the simulation controls and their results. This is not merely a matter of reducing a degree of cognitive dissonance or cognitive conflict, but actually relating to the core discomfort coming from a lack of familiarity with both neural controls and game controls. The entire progression of focusing on static and then on animated, and then on variably animated visual objects accompanied by their corresponding musical patterns throughout the program’s modules ultimately makes it easier for the learner to continue focusing at the higher, more difficult and “more expert” levels of the program. Gaming programmers usually focus on making the levels increasingly more difficult to navigate, but do not focus on how to optimize the quality of the gamer’s learning and progressions. CYBERDOCtv will do both by giving the learner practice exercises to be used against a progression of more difficult scenarios that involve patient safety and wellness. A SPIRALING CONVERSION OF DISSONANCE RESOLUTION: The complex multimedia nature of CYBERDOCtv is an ideal vehicle for using dissonance resolution to enhance the learning quality along dimensions heretofore unexplored in virtual reality. Mastery of content is the object rather than obtaining a passing score on a multiple choice test, and the program aims to invoke intense motivation from the participants. This interactive curriculum will grow in response to feedback from both the learners and the teachers. Progression of the DR TOMORROW storyline into an internet gaming context will put a unique interactive edge into the combination of Patient Safety and Wellness. CYBERDOCtv will pose a severely pleasant challenge to the technology, to students and users, but most of all to teachers and programmers. DR. MARSHALL F. GILULA is an MD with extensive training and experience in both Psychiatry and Neurology as well as Neurophysiology (EEG). He has taught both Psychiatry and Neurology to medical students and housestaff, and was the first listed editor of the Journal of Holistic Medicine that was published by Human Sciences Press. Dr. Gilula has had extensive experience in complementary and alternative medicine (CAM) and owns a small recording studio in Miami, where he has produced the CYBERDOCtv music and other compositions. Life Energies Research Institute, Inc. (LERI) is a non-profit research foundation which has been operating under the direction of Marshall F. Gilula, M.D. since 1970. LERI was incorporated in the state of Florida in 1980. Federal tax-exempt status was granted on January 9, 1981 under Sections 501(c)(3) and 509(a)(2) of the Internal Revenue Code. Dr. Gilula is a board-certified psychiatrist, a board certified neurological subspecialist (Neurophysiology/EEG), and a diplomate in Biofeedback Therapy, and a certified Instructor in Neurotherapy and Biofeedback. 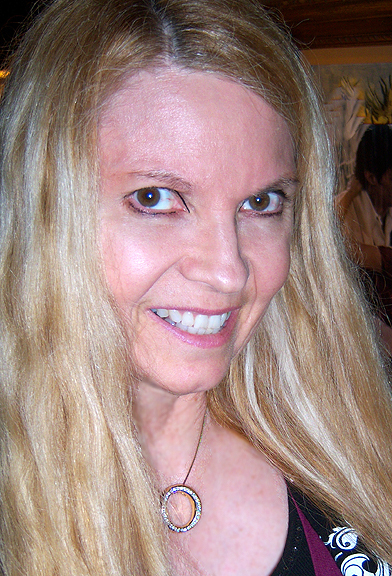 Dr. Gilula's personal website at http://www.mindspring.com/~mgilula lists current and past projects of LERI, the nonprofit charitable entity. His research experience includes being a US-USSR International Exchange Scientist in 1978 (Moscow) and receiving the 1981 (Tokyo) Motoyama-Ben Tov Award. Dr. Gilula became a NeXT Registered Developer in 1990. He has been a member of the Scientific Advisory Board of the Institute of Hearthmath. His private research in Miami involves psychiatry, EEG, and research neurology within a framework of complementary and alternative medicine. Since 1999, he has been at the University of Miami/Jackson Memorial Hospital for over three years in the Neurology Department (Epilepsy/EEG Fellow) and two years in the Anesthesiology Department, UM-JMH Center for Patient Safety. Beginning in December 2004, he has investigated the EPFX-QXCI-SCIO cybernetic technology initially developed over 25 years ago by noted NASA scientist, Bill Nelson. Specialties:Board certified Psychiatrist and Neurophysiologist (EEG) with seven years of postdoctoral neurological training in Epilepsy and EEG. Board Certified Instructor in Biofeedback and Neurofeedback. Advanced Practitioner, EPFX(QXCI)-SCIO Cybernetic Biofeedback and Antistress System.